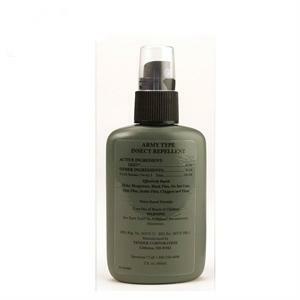 Army Type Insect Repellent is the original G.I Bug Juice! The 2 Ounce bottle of repellent contains 30% DEET and effectively repels ticks, mosquitos, black flies, fleas, chiggers and more. Wearing bug repellent is the most efficient way to prevent diseases spread by mosquitoes like Malaria, West Nile, Zika Virus and more, according to the C.D.C.